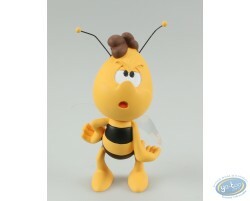 Willie resin from "Maya the bee", Waldemar Bonsels. This statuette makes you discover Betty Boop in her Indian outfit. Betty Boop, elegant and sensual in all situations. This statuette makes you discover Betty Boop in its wear of Marilyn ! Betty Boop, elegant and sensual in all situations. Several statuettes models available. This statuette makes you discover Betty Boop in its wear of maid ! Betty Boop, elegant and sensual in all situations. Several statuettes models available. THE LAST ONE !This statuette makes you discover Betty Boop in its wear of Stewardess ! Betty Boop, elegant and sensual in all situations. Several statuettes models available. This statuette makes you discover Betty Boop in its wear of Marine ! Betty Boop, elegant and sensual in all situations. Several statuettes models available. This statuette makes you discover Betty Boop in its wear of Model ! Betty Boop, elegant and sensual in all situations. Several statuettes models available. This statuette makes you discover Betty Boop in its wear of Nurse ! Betty Boop, elegant and sensual in all situations. Several statuettes models available. 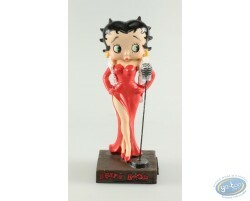 This statuette makes you discover Betty Boop in its wear of Cinema opener ! Betty Boop, elegant and sensual in all situations. Several statuettes models available. This statuette makes you discover Betty Boop in its wear of Cabaret singer ! Betty Boop, elegant and sensual in all situations. Several statuettes models available.